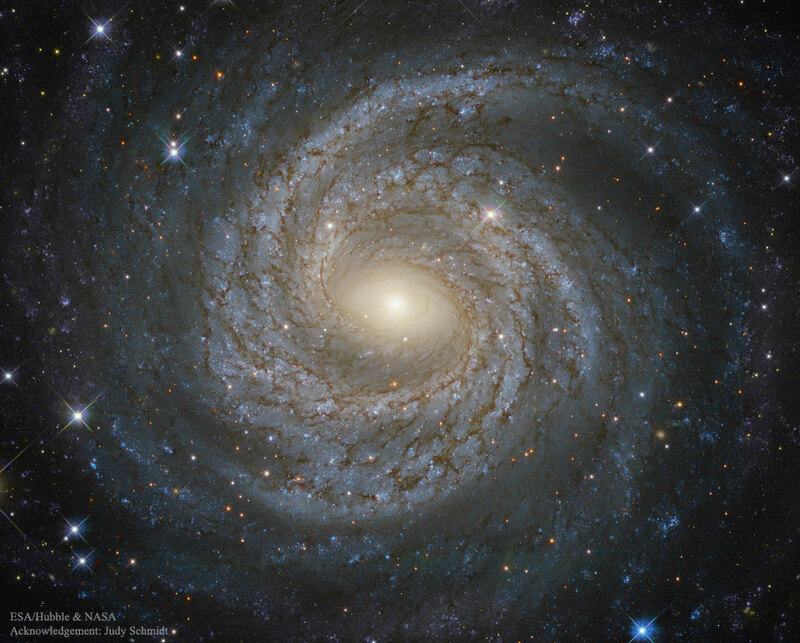 Explanation: In the centre of this serene stellar swirl is likely a harrowing black-hole beast. 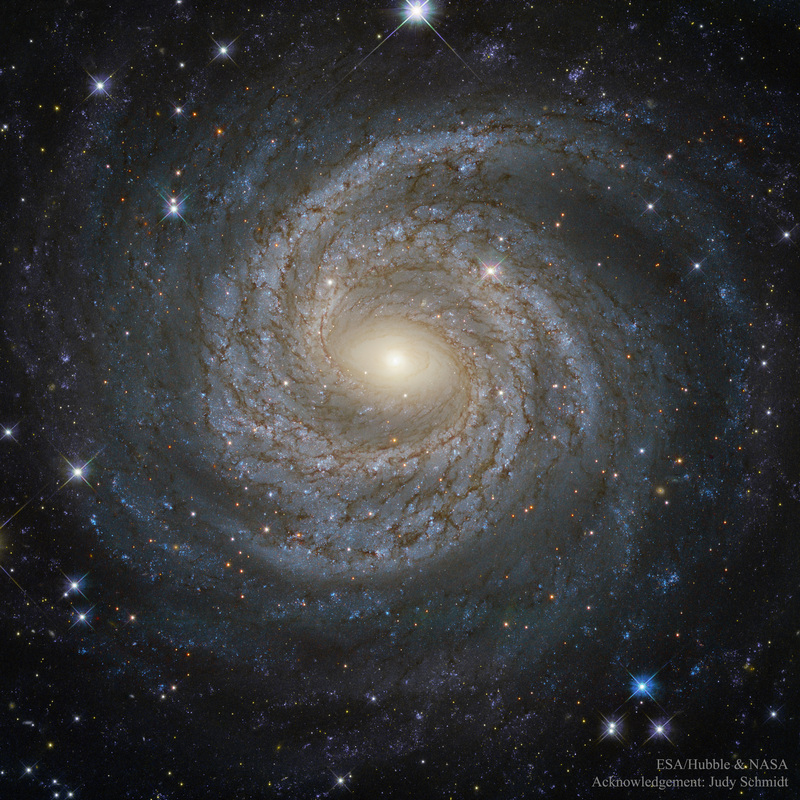 The surrounding swirl sweeps around billions of stars which are highlighted by the brightest and bluest. The breadth and beauty of the display give the swirl the designation of a grand design spiral galaxy. The central beast shows evidence that it is a supermassive black hole about 10 million times the mass of our Sun. This ferocious creature devours stars and gas and is surrounded by a spinning moat of hot plasma that emits blasts of X-rays. The central violent activity gives it the designation of a Seyfert galaxy. Together, this beauty and beast are catalogued as NGC 6814 and have been appearing together toward the constellation of the Eagle (Aquila) for roughly the past billion years.